How can I possibly describe Two Statues? Is it a pair of buddy-cop dramas, woven together with mystical threads? Is it a mystery story where the dramatic irony only manages to increase with each sentence, drawing the reader inexorably into a wilderness of miracles? Is it an adventure story, bringing our four main characters up and down the eastern seaboard in search of answers both practical and otherworldly? Is it a story of forgiveness alone or of reconciliation? How can I possibly describe Two Statues? I don’t honestly feel like I can. The best description this reader can give, however, is “five stars.” Thank you, St. Benedict Press, for taking a chance on a novel like this. It’s fiction like this that breathes credibility as well as humanity into the good doctrine promoted in your nonfiction. 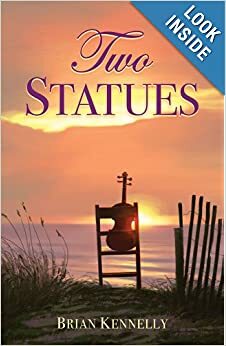 You took a chance, and I’m hoping it pays off for you… so you can afford to take more chances on great Catholic fiction like Two Statues.